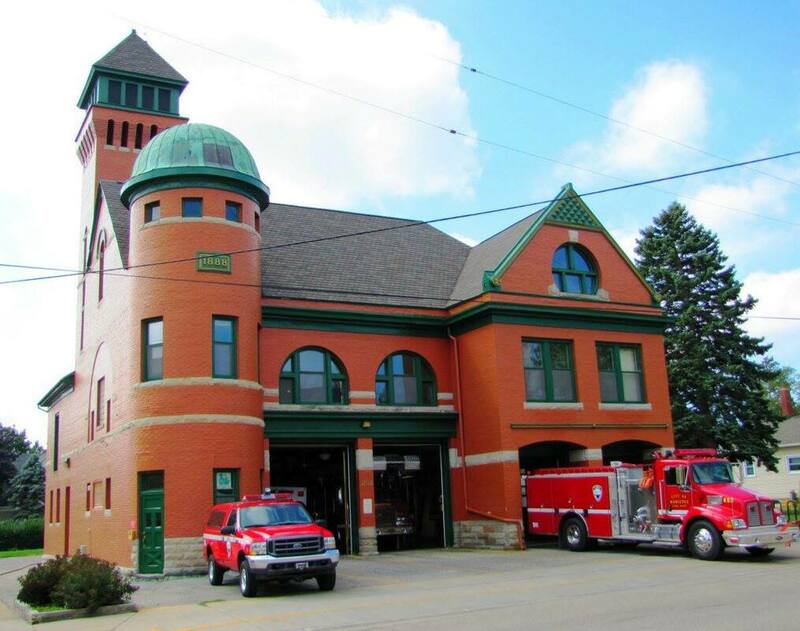 The historic Manistee Fire Station in Michigan, US, was built in 1888 in a Romanesque Revival style. In early October 1888, the Manistee City Council hired Frederick Hollister of Saginaw, the architect of Manistee's principal school, to design a fire hall to replace the original station, which was constructed in 1872-1873 on Filer Street. Later that month the ‘Manistee Democrat’ predicted that the city's new fire hall would be "a model of convenience and usefulness." Constructed of brick, cut stone and French plate glass and trimmed with galvanized iron, this Romanesque Revival-style building was constructed by the local firm of Brownrigg and Reynolds at a cost of $7 516. The dome is covered with copper. This is the oldest continuously operated first station in Michigan. 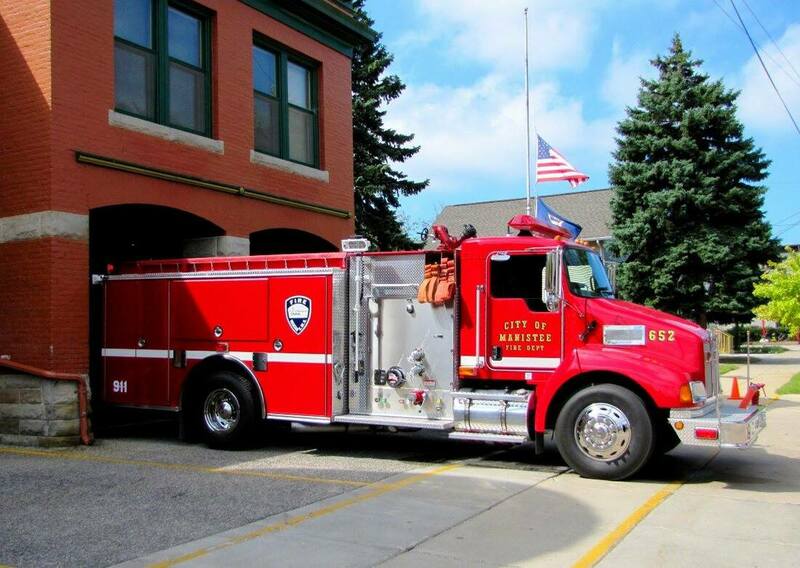 The Manistee Fire Department has a long and proud history. It has serviced the residents of Manistee for more than 100 years. 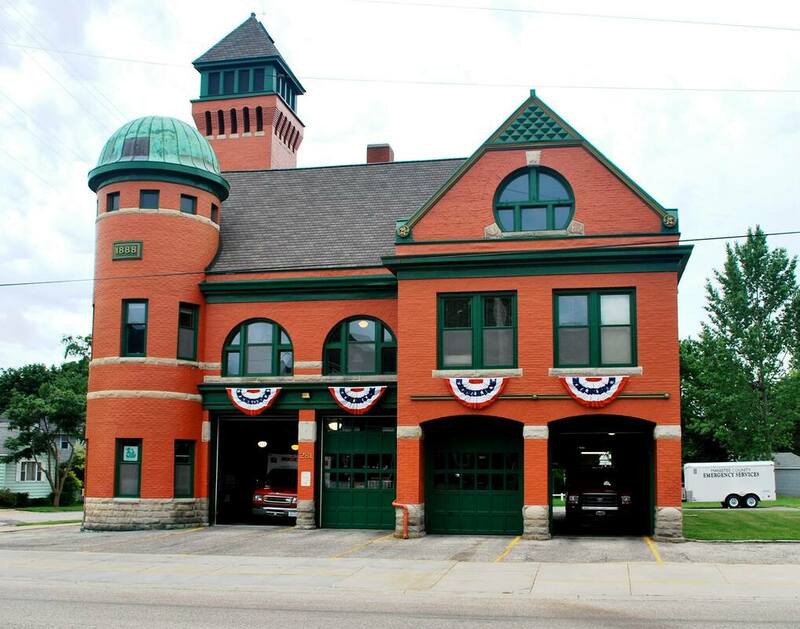 The current fire station is the oldest continuously operated fire station in Michigan. It was built after the great fire of 1871 where most of Manistee was destroyed. 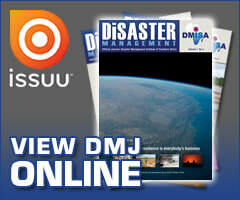 The department is constantly evolving. It recently upgraded its emergency medical service to advanced life support transport status to better meet the changing needs of the community. The Fire Department has a budgeted staff of eight full-time employees, seven fire fighters and one public safety director. The department provides the city with fire protection and medical response services, including advanced life support transport services. In addition, fire fighters conduct an active fire prevention program, conduct fire prevention and preplanning inspections, inspect the city’s fire hydrants and maintain the city’s 129-year-old fire station. 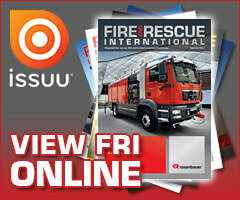 All fire fighters are specially trained for cold water and confined space rescue and some hazmat operations.